For the next few Fridays, I'll try to write about some of my favorite Springtime activities in NYC. In reality, many of these activities can be enjoyed anytime of year, but those first days of warm weather like we had a few weeks back makes everyone want to get outside! 1. 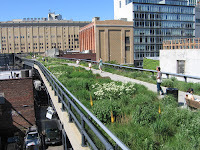 The High Line - the High Line is one of the coolest places in the city! In case you haven't heard, the High Line is an abandoned elevated freight train line which has been converted into an elevated Park. It runs from Ganesvoort Street in the meatpacking district up to 34th Street between 10th and 11th Avenue. 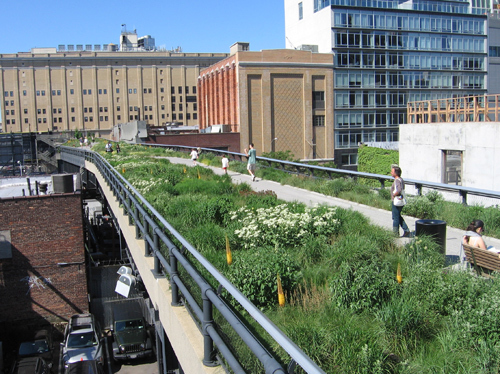 The first phase of the High Line opened in the summer of 2009 and became an instant hit. Last Summer the second Phase opened. This particularly excited me because now one end is only a block from my office. It's a great place to take a short walk or eat lunch during the day. When visitors to the city ask me where to go this is always the firs thing I tell them. 2. 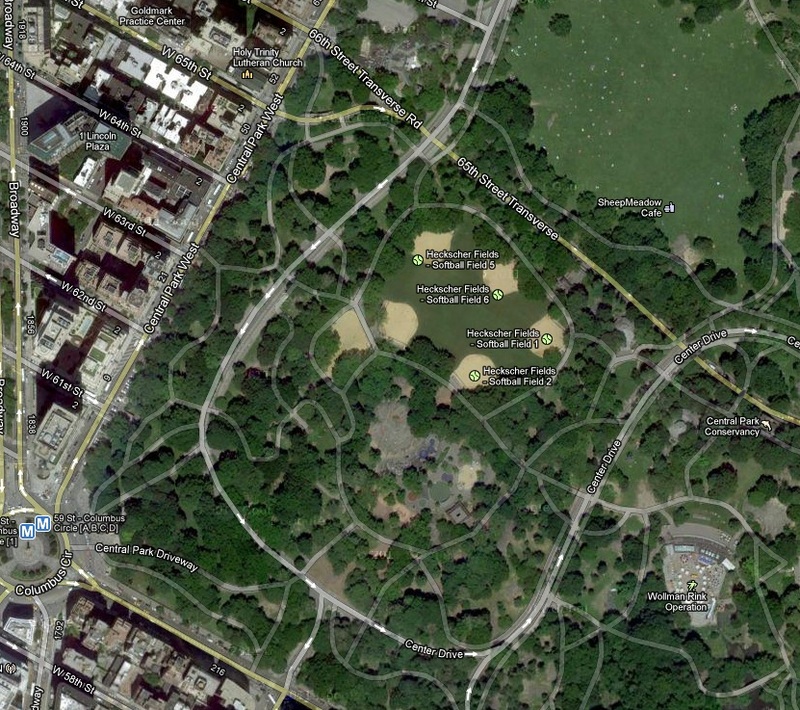 Softball in Central Park - Since I started working in the city, I have been on our corporate softball team. The first two seasons we were in this random league up in Harlem that drew more crowds of friends who had time to practice than the corporate atmosphere. In the history of our company team, I don't think we had ever won a game in that league. Some one finally took action and got us into a league in Central Park! Now, as a team of engineers, we're not that great in recent seasons we've hovered around .500. But it doesn't matter much because we have a great time. The fields are in great condition, it's a convenient location and has a great view. One of the funniest things about playing in central park is the people watching, and by people watching, I mean the tourists who watch us. I'm serious - every game, without fail, foreign tourists will wander into the stands and treat us like the Yankees. They cheer and take pictures. There must be tons of pictures of me in foreigner's Facebook photos up at bat. If they only knew that what they were watching was a bunch of engineers playing corporate softball. But it does feel good, and I kind of like being a tourist attraction. 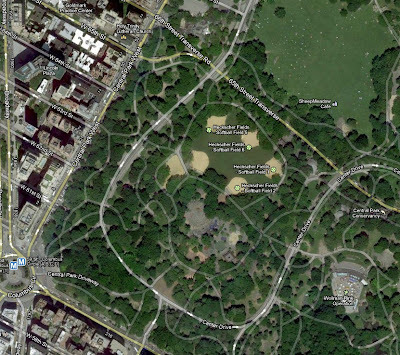 From this picture you can see the 5 ball fields all back to back! When you're done reading this, Shariously go outside and enjoy! I'm coming to watch again.